Tomato Paste, Sugar, Molasses, Water, Apple Cider Vinegar, Ketchup, Brown Sugar, White Vinegar, Hot Sauce, Smoke Flavor, Mustard, Salt, and a special blend of spices. 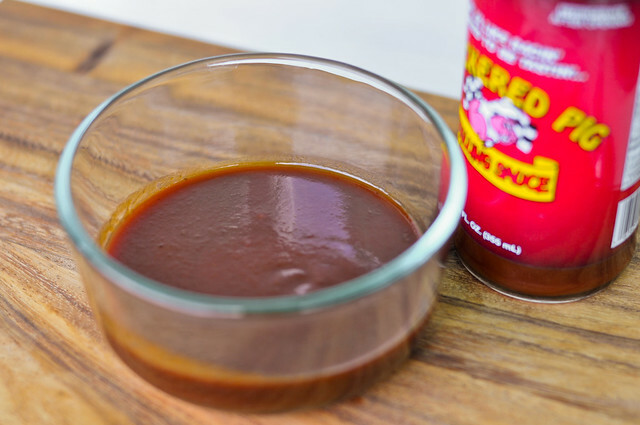 Exemplifying a great balance of flavors, Checkered Pig Grilling Sauce hits all the notes you'll want in a barbecue sauce. 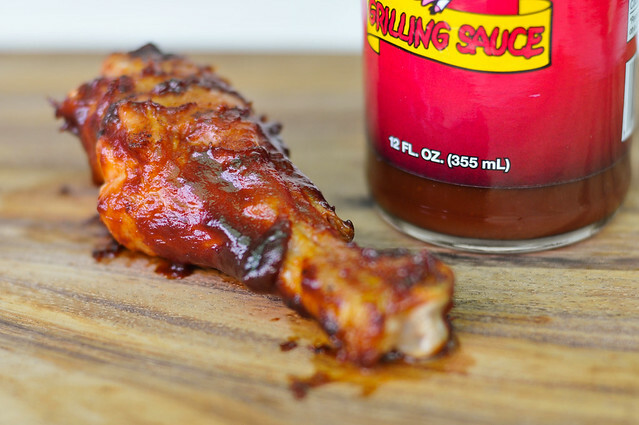 While it does that incredibly well, it also lacks a little something extra that might elevate it even higher in the expansive world of barbecue sauces. 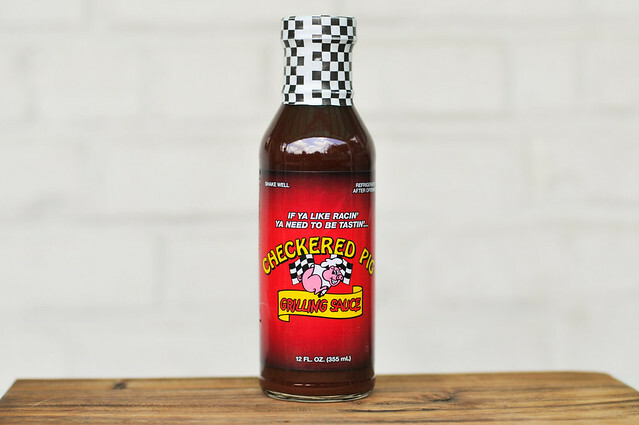 Pitmaster Tommy Houston of Checkered Pig was kind enough to give me this sauce at this year's Big Apple BBQ Block Party. I first met Tommy in Nevada at the Best in the West Nugget Rib Cook-Off, where he was set-up next to my home base of Memphis Championship Barbecue. During that time I found a fondess for his ribs, although it was his hush puppies that really stole my heart. Tommy heads the competition team as well as two restaurants in Martinsville and Danville, VA. 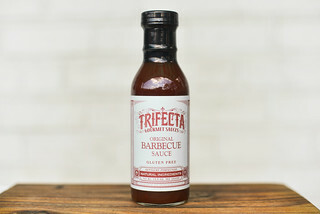 This sauce has a very smooth barbecue aroma, with a tomato pared with a deep, sweet molasses. There's a little bit of vinegar in there, but it's slight and not overpowering. Overall, it's very pleasing on the nose. This sauce weighs in just a little over medium thickness. It's opaque, dark brown, and has a little texture in its smoothness. It doesn't have a steady pour off a suspended spoon, instead falling off in chunks as expected with its thickness. There are also almost no visible spices to be seen here. 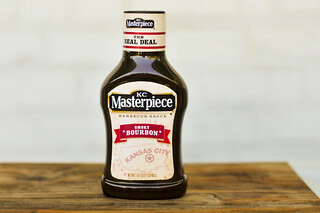 To me, this is what a good barbecue sauce should taste like. The combination of flavors are incredibly well balanced and hit all the notes you want in a decent sauce. First you get a smooth tomato flavor with a nice sweetness. Then the vinegar starts to kick in, which strikes a prefect balance between sweet and tangy. There's a faint smokiness there as well that rounds out the flavor. Being a good consistency and having the right amount of sugar, this sauce was a champion on the grill. It baked into the chicken well, with a little caramelization, but no burning. The sauce did lose a bit of its excellent balance and tipped in the direction of sweet, but it retained its smooth overall flavor. The reason I like Tommy Houston's ribs are because they seem to always exemplify well cooked pork and a right balance of flavor. That being said, while they're always very good, they also fairly standard in barbecue. I feel the same way about this sauce. It hits all the right notes for a barbecue sauce and does it incredibly well, but it's missing something that could elevate it even higher. 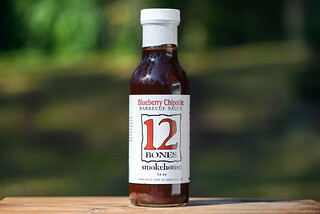 If you're looking for a great all-purpose sauce, this is an excellent choice and will do anything on your grill or smoker justice, just know that while you'll have a great flavor, it just may not have that "wow" factor, which isn't necessarily a bad thing. Sounds like a great sauce for someone that likes to just tweak commercial sauces with a few ingredients instead of making their own.